HOW DO YOU MAKE PEANUT BUTTER ITALIAN? ONE WORD: HAZELNUT. 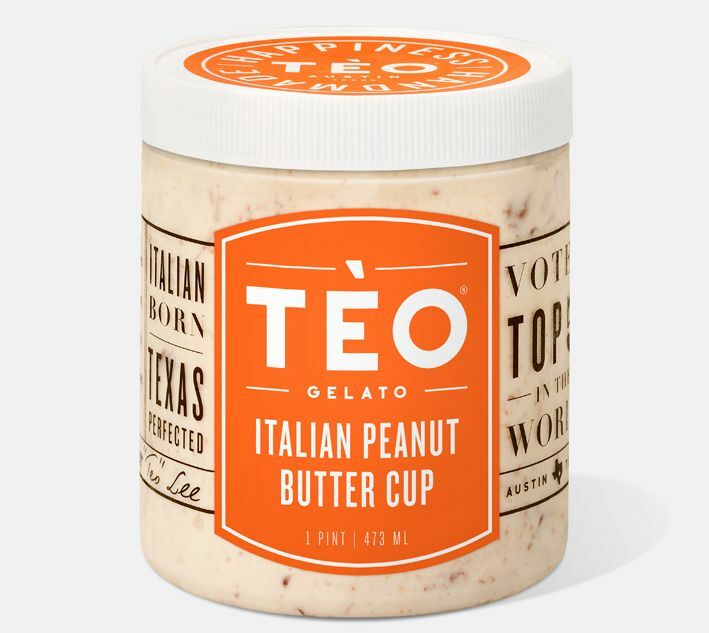 It was a match made in Italy: rich gelato and decadent hazelnut spread. Of course, we added a uniquely American twist with creamy peanut butter. The results? A peanut butter cup flavor like no other, mixed into our daily homemade base. 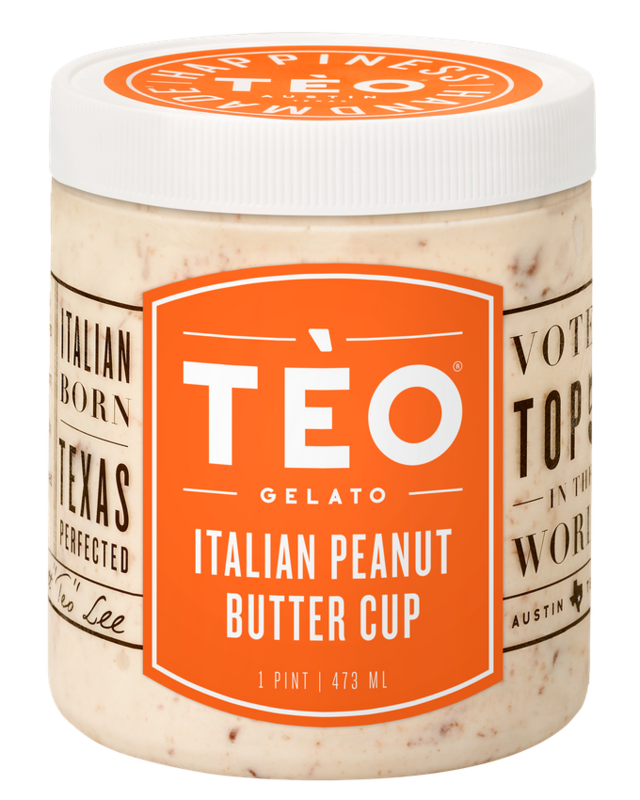 Italian Peanut Butter Cup is one of many signature recipes created in Austin by our gelato maestro, Matthew Lee, who was the only American gelato maker to win a Top Five Award in the Gelato World Tour. Of course, you may know him better as Tèo! INGREDIENTS: Milk, Sugar, Cream, Peanut Butter (Peanuts, Salt), Chocolate Hazelnut (Sugar, Sunflower Oil, Hazelnuts, Cocoa, Skim Milk, Cocoa Butter, Whey, Coconut Oil, Sunflower Lecithin, Vanillin - An Artificial Flavor), Nonfat Dry Milk, Dextrose, Locust Bean, Guar Gum. Made on equipment that may process soy, wheat, peanuts, eggs & tree nuts.